Our Recovery Overnight Mask is designed to decongest, balance and promote a clearer complexion. Blended with Aloe Vera and pure essential oils of Cypress, Thyme, Palmarosa, Juniperberry and Geranium. Recommended for oily and blemish prone skin. Our Recovery Overnight Mask is blended with Aloe Vera and natural plants oils to purify and re-balance oily and blemish prone skin. Aloe Vera soothes, hydrates and conditions. It is particularly beneficial for blemished skin as it can help to reduce redness, inflammation and speed the healing process. Cypress and Juniperberry essential oils have excellent antiseptic, antibacterial, detoxifying and astringent properties which help to decongest the skin, minimise the pores and reduce excess oil. Red Thyme essential oil is renowned for its powerful antiseptic, antibacterial action which has been scientifically proven to fight the bacteria that causes breakouts. Geranium and Palmarosa essential oils help to balance sebum production and encourage the regeneration of healthy new skin cells. 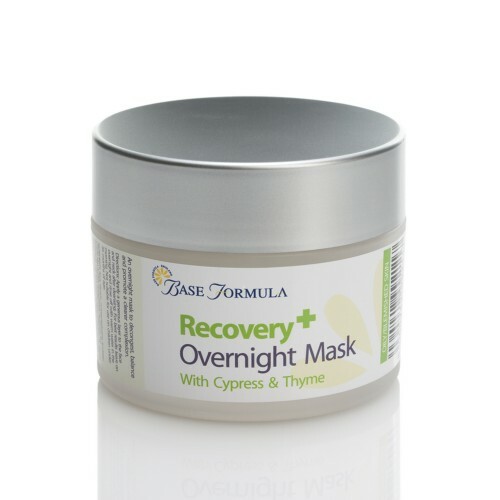 Our Recovery Overnight Mask also contains Cotton Seed, Wheat Germ, Soya and Rice Bran Oils. Rich in nutrients, antioxidant Vitamin E and essential fatty acids these skin nurturing oils help to promote a healthier complexion - aiding skin recovery and reducing the appearance of scars! 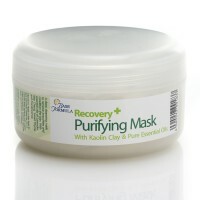 Our Recovery Overnight Mask is designed for oily, blemished and acne prone skin.